The stores are tempting us with their displays of Christmas gifts and treats, and it’s a bold reminder that yes, the festive season is fast approaching. We are getting ready for one of the busiest times of the year, and our chefs have been crafting delicious menus for our guests. We are looking forward to welcoming those companies that have already chosen Crondon Park for their Christmas party, seeking an evening of dinner and dancing in an exquisite setting – it’s no wonder that many businesses return year after year. 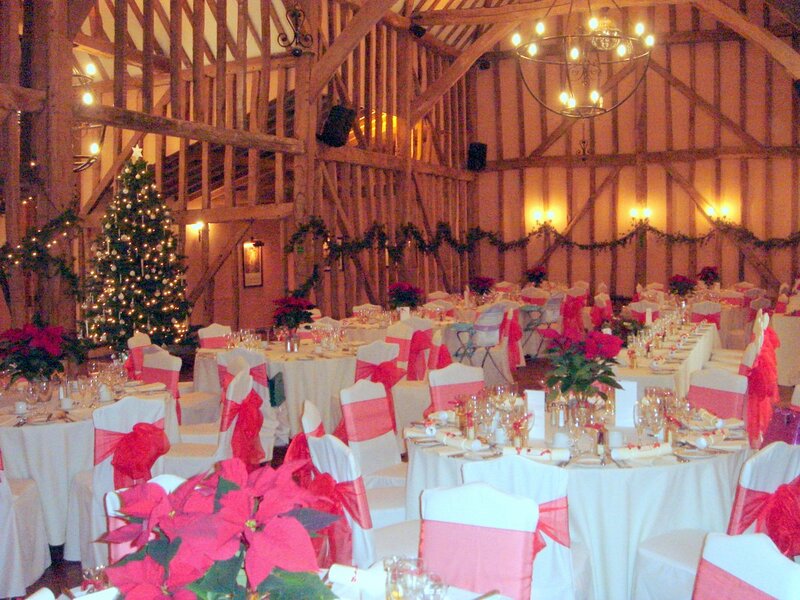 If you’re looking for a venue for your company or team to celebrate the season of good cheer, then don’t wait around to book. We’re afraid no fairy godmother will be able to magically find an extra date in December for your event. We don’t want you to be disappointed, and we always try and accommodate everyone as best we can, but even in the season of magic and sparkle, some things are simply beyond our powers. We love to provide you with choices at Crondon Park, and we have the following rooms available, dependent on your group size. For beauty and history, in Baronial Hall you can invite up to 120 guests to dance with you amidst the fairy lights, with our beautiful Christmas tree providing the perfect backdrop to our seasonal decorations. The quality of your evening is our priority; we don’t leave anything to chance, which is why the entertainment is provided by our resident DJ, and we’ve invested in a dance floor with state of the art disco sound and in-pulse lighting. This season we have a new addition in the Masters Lounge, for parties of up to 60 people; the room benefits from its own bar, and can provide a more intimate setting for your Merry Berry Christmas. Small groups may prefer Fairways Restaurant, which overlooks the 18th hole of our Championship golf course, providing a more private retreat – after an evening here, you may wish it was Christmas every day. You and your friends might want to attend a celebration together, but don’t have the numbers to hire a whole room. Don’t worry, our Evening Dinner and Dancing package is the ideal solution, and at just £39.50 per person including food, reception drink, ½ bottle of wine per person and much more, you will soon be rockin’ around the Christmas tree. With a mouth-watering selection to choose from, you will be having yourself a merry ‘full’ Christmas. Whether your event is black tie, themed or topped off with a Christmas party hat, celebrating Christmas at Crondon Park will give you a sparkling number of wonderful memories for many years to come. 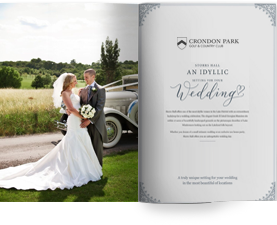 No matter how you choose to celebrate your Christmas, add Crondon Park into your plans, as all we want for Christmas, is to spoil you!